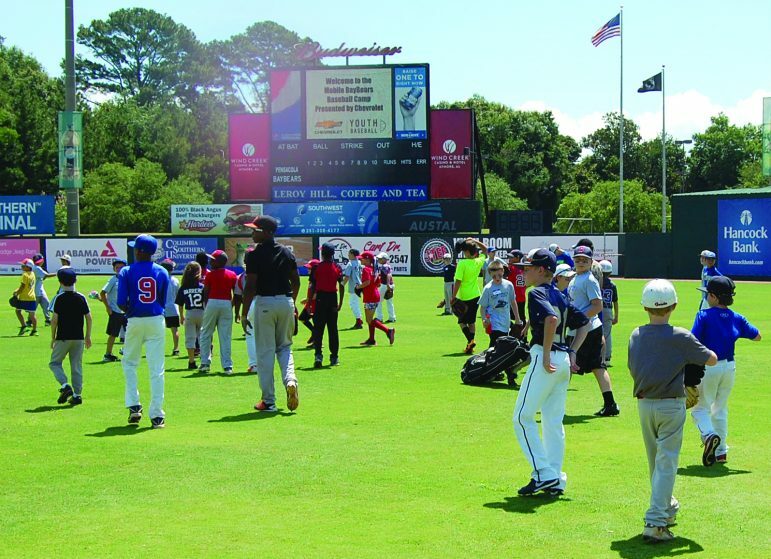 The Gulf Coast Chevy Dealers Association, represented by John Moses of Bay Chevrolet, sponsored a free baseball clinic on Friday, June 3 at Hank Aaron stadium. More than 100 girls and boys, ages 6 through 14 attended. 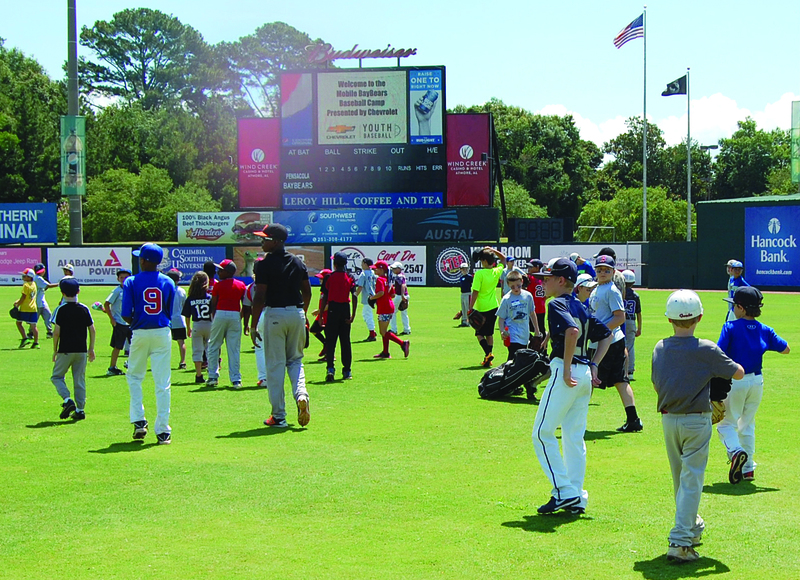 Mobile BayBear players volunteered their time to instruct the area youth in the essentials of hitting, fielding, throwing, and more. As the “Official Vehicle of Major League Baseball,” Chevrolet reaches out to communities across the country through grassroots programs like CYB.